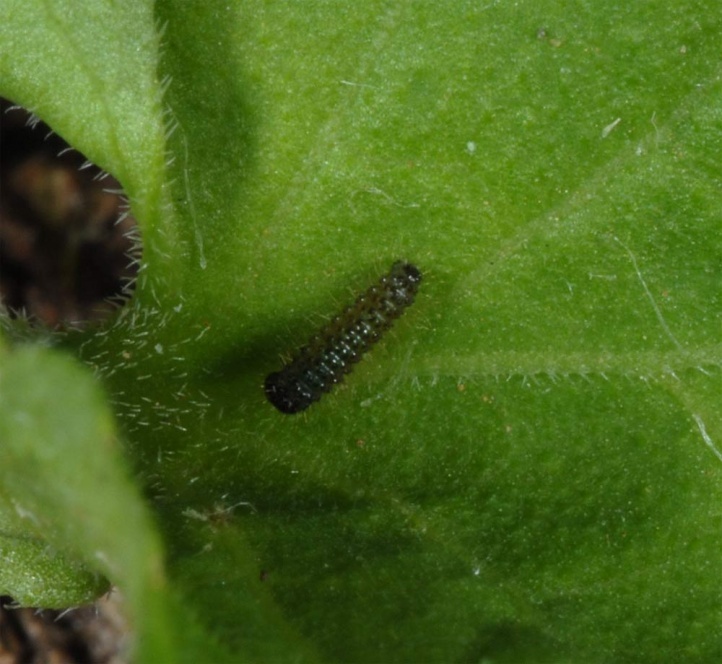 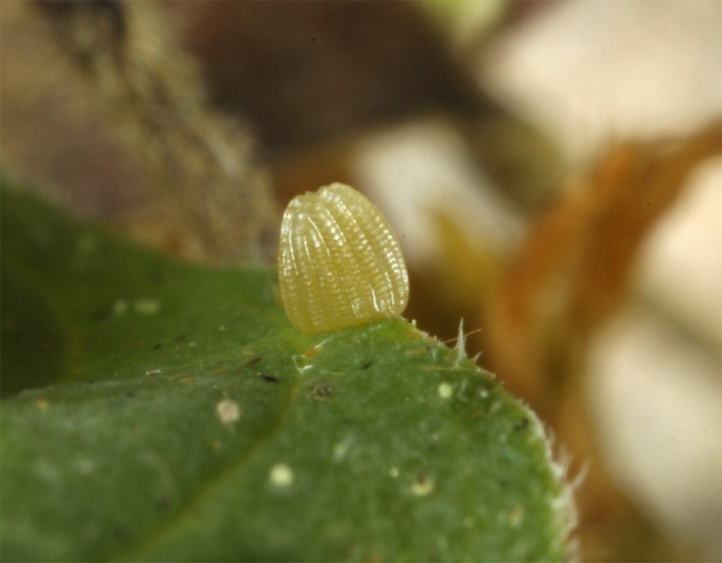 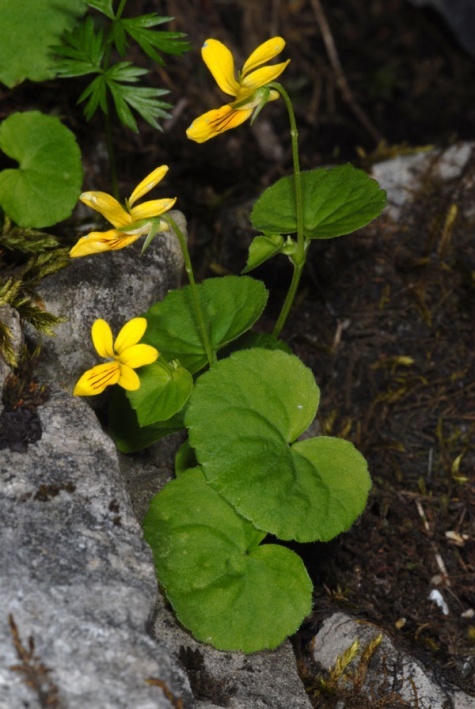 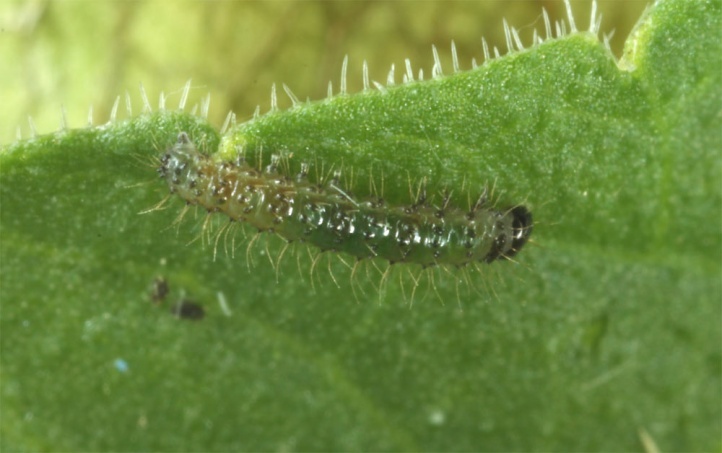 The larva consumes Viola species, mostly Viola biflora. 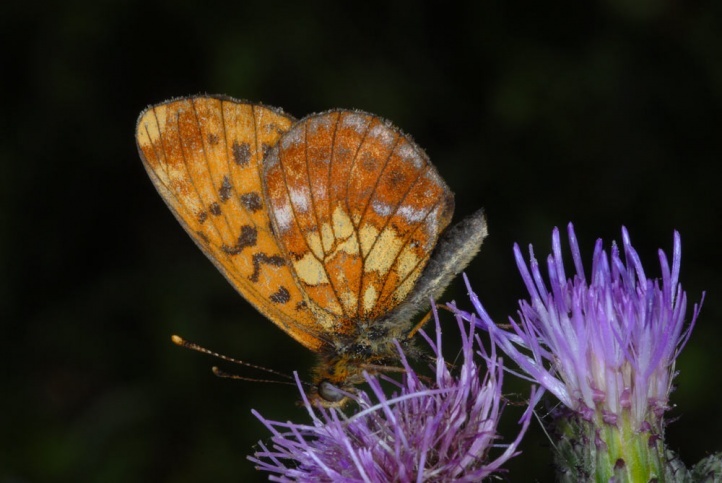 In Central Europe Boloria thore occurs only in the Alpine region, but contrary to many references it is quite widespread in the northern Alps in the light mountain forests between 700 and 1700m above sea level (peak at around 900 to 1400m). 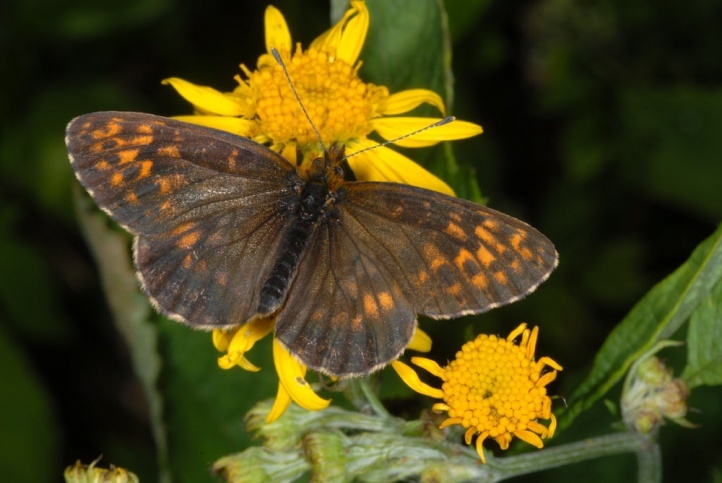 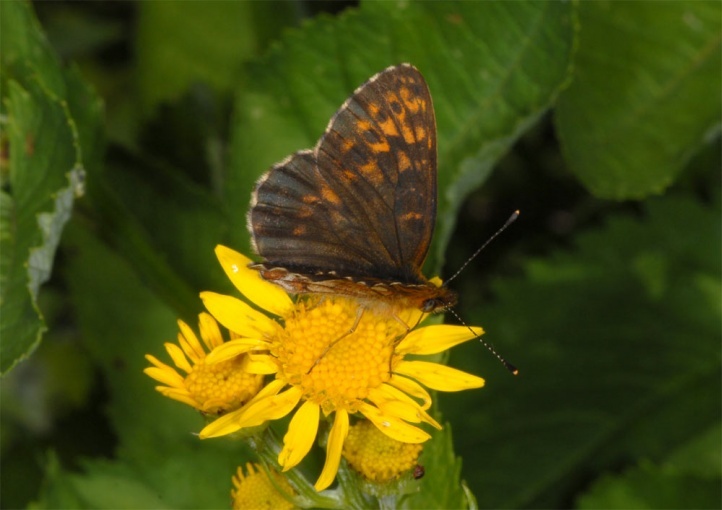 Butterflies as well as caterpillars are found in cool, moist, partially shaded forest gap systems, spring swamps in open forest, river valleys, etc. 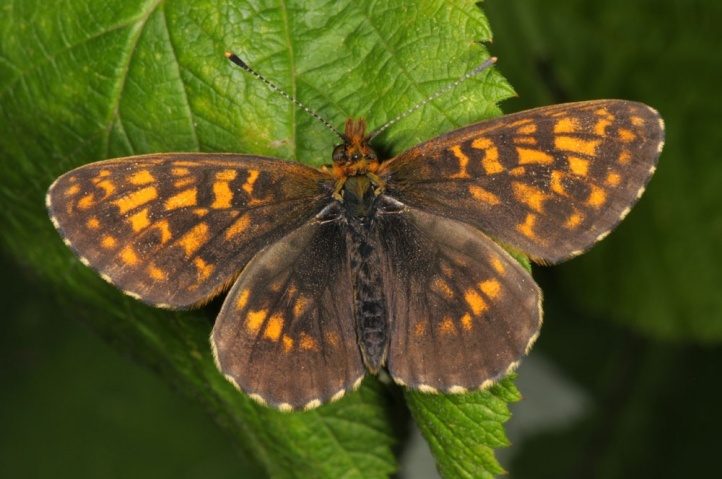 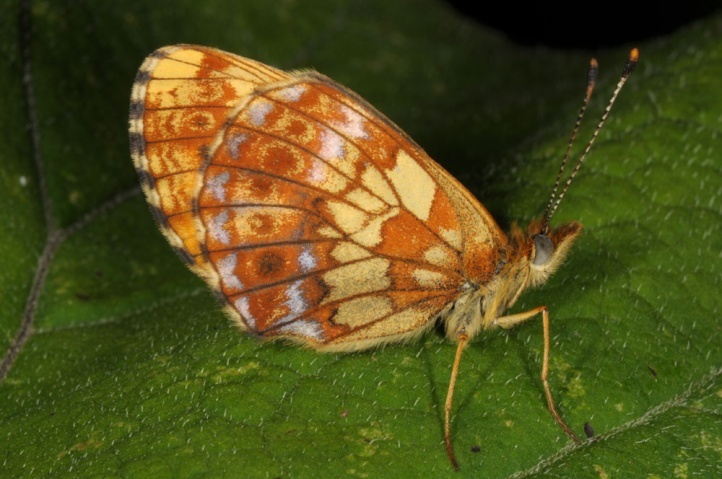 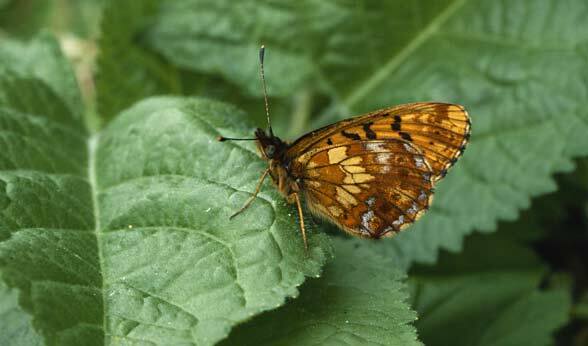 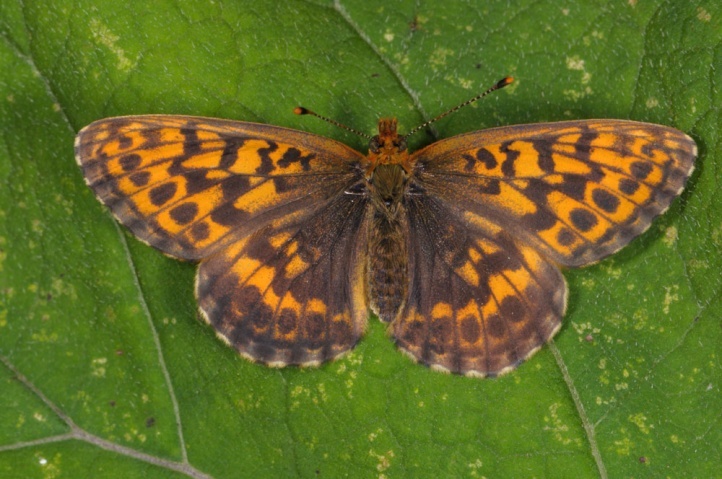 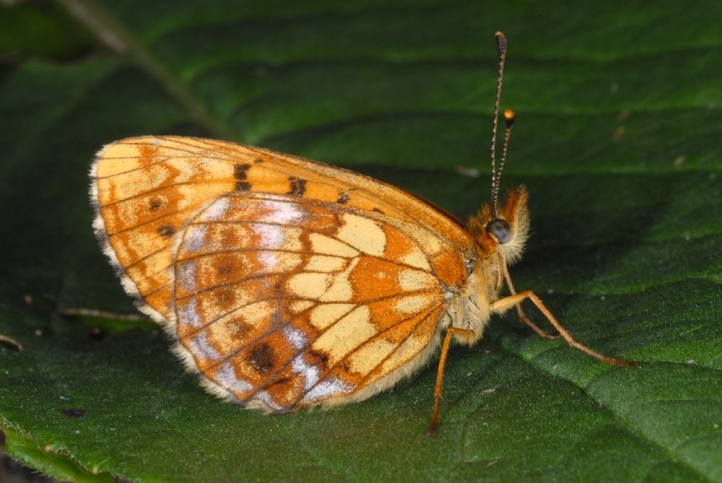 Boloria thore is said to have a two-year development. 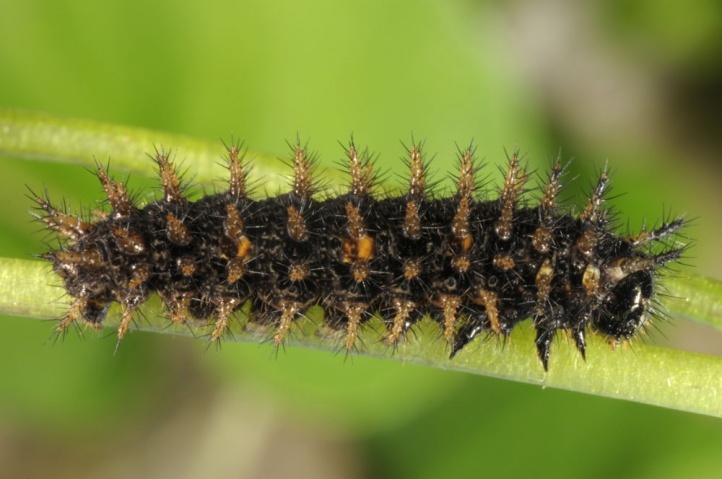 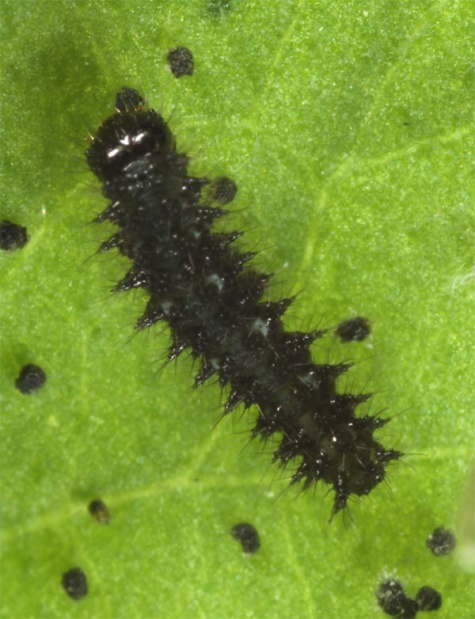 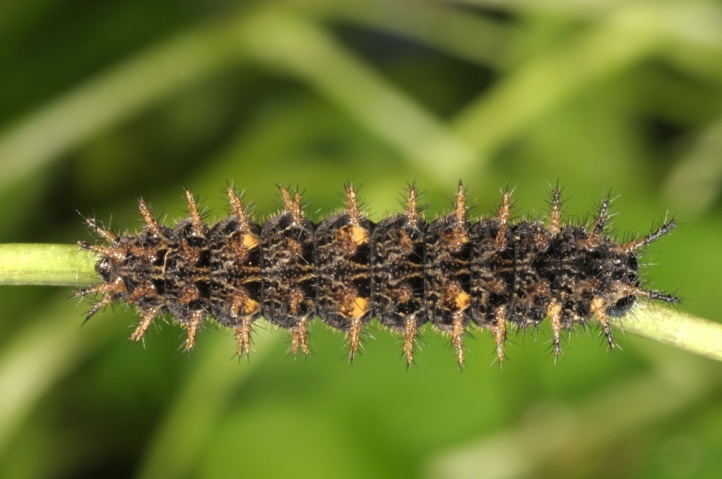 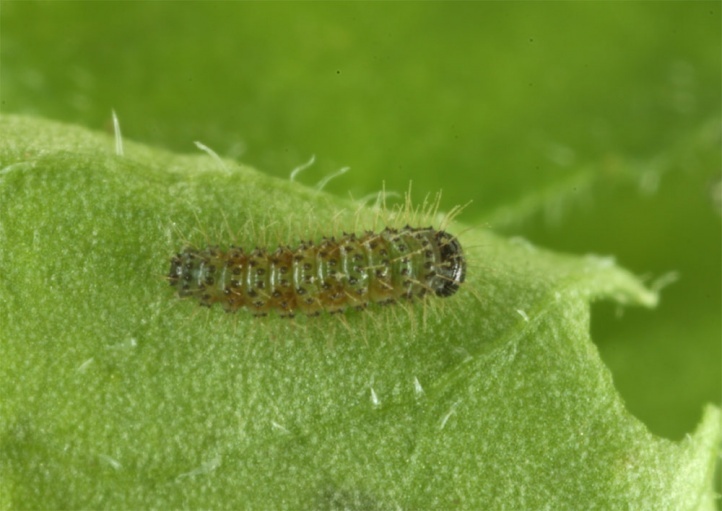 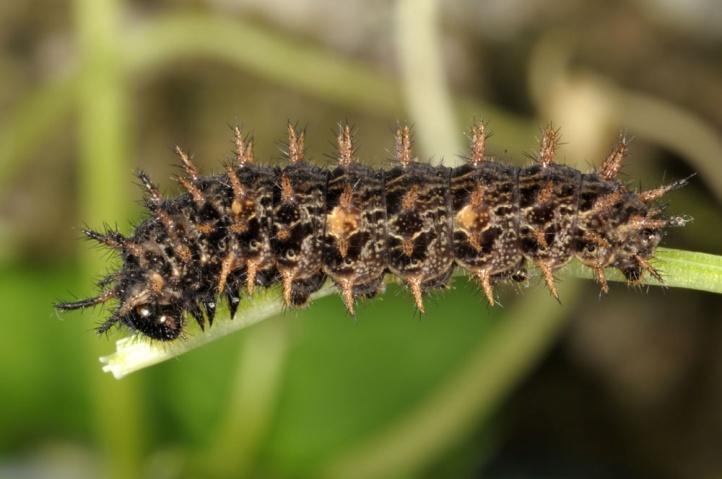 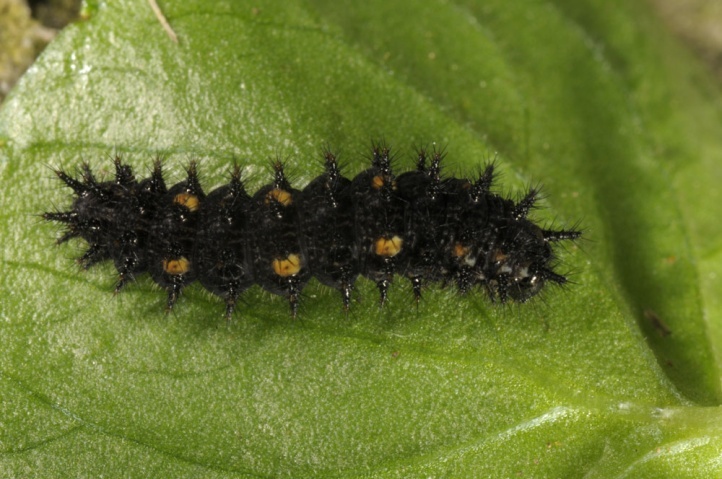 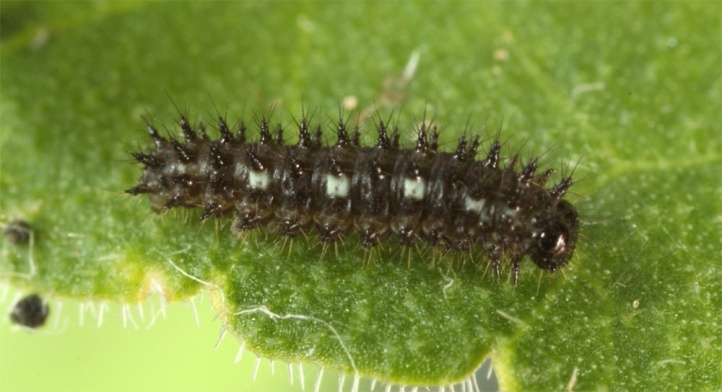 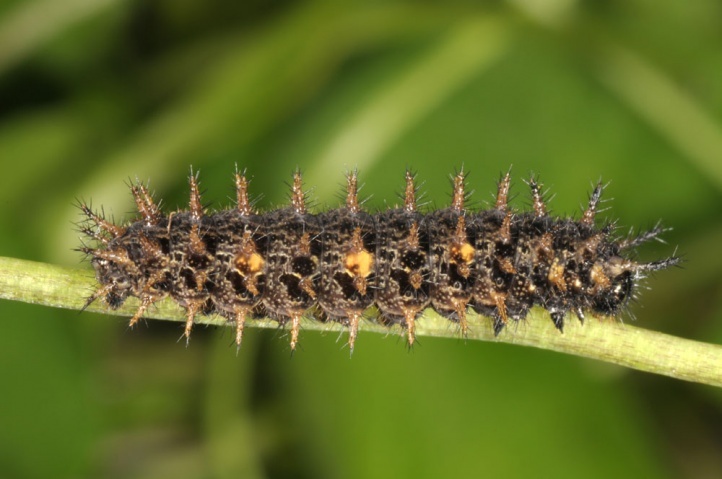 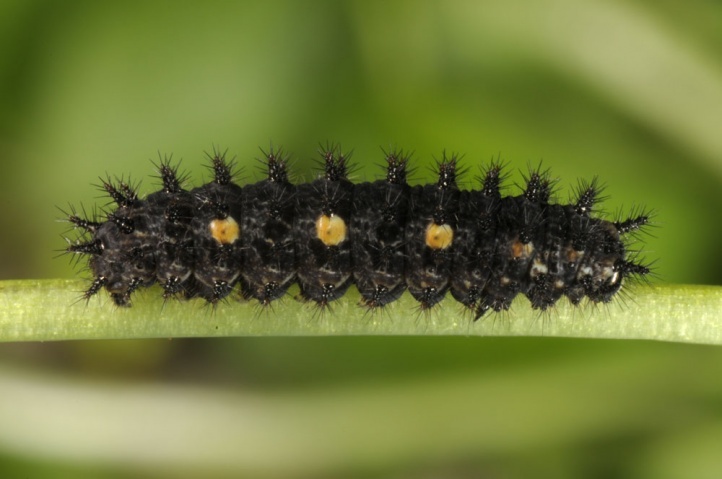 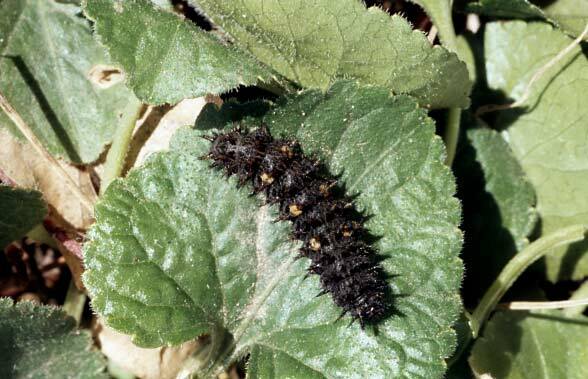 I found mature caterpillars in the Allgäu (Southern Germany) on Viola biflora at the time when the Parnassius mnemosyne-caterpillars (in the same habitat) were not yet fully-grown. 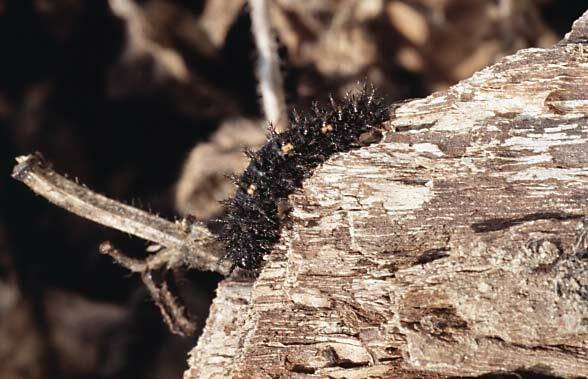 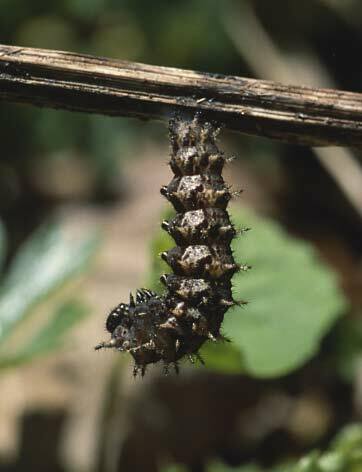 Hibernation takes place accordingly to these observations in penultimate instar. 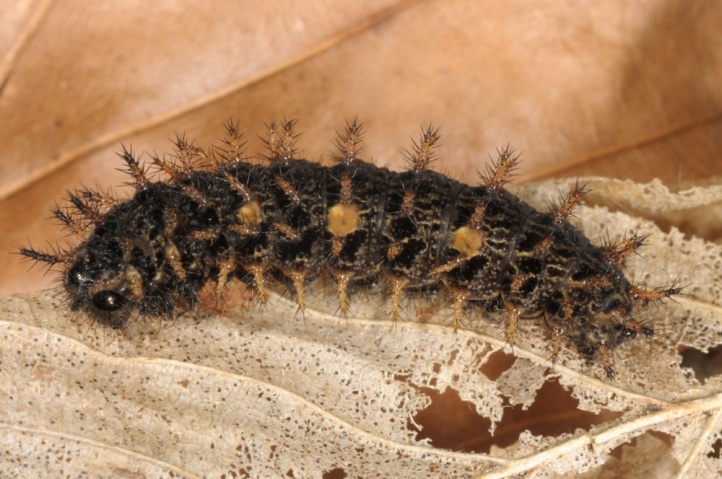 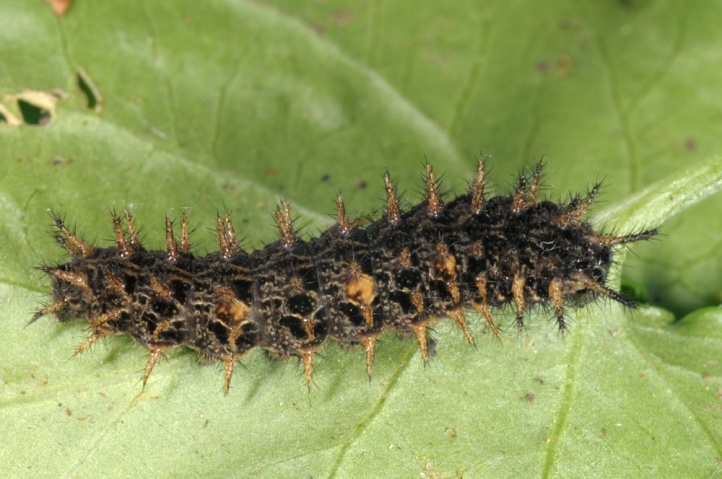 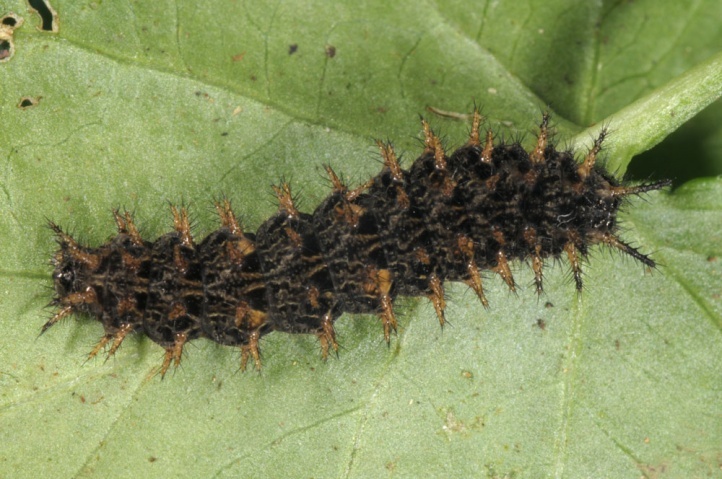 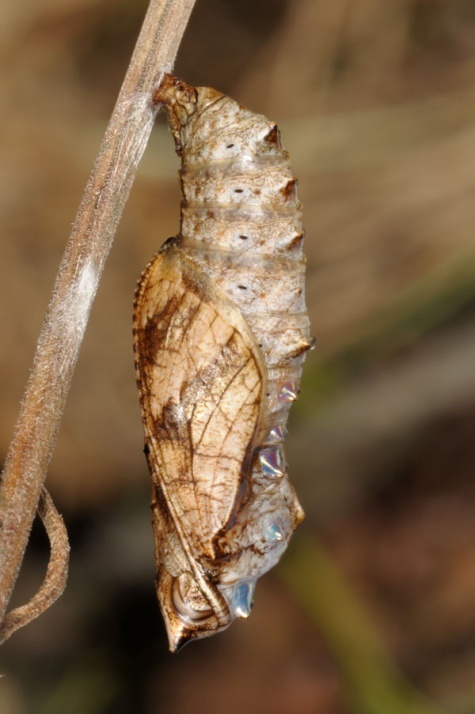 Whether the larvae previously overwintere already once in a younger stage remains to be investigated. 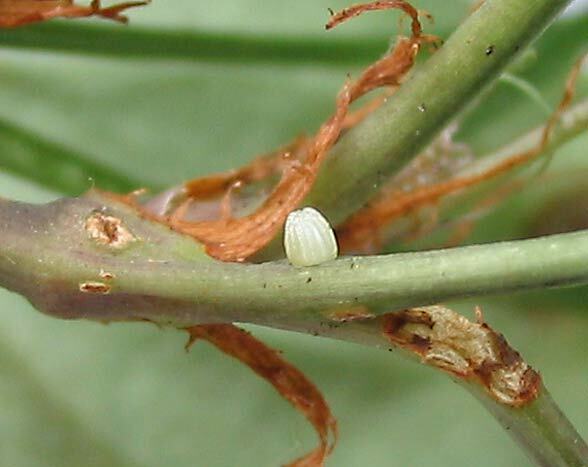 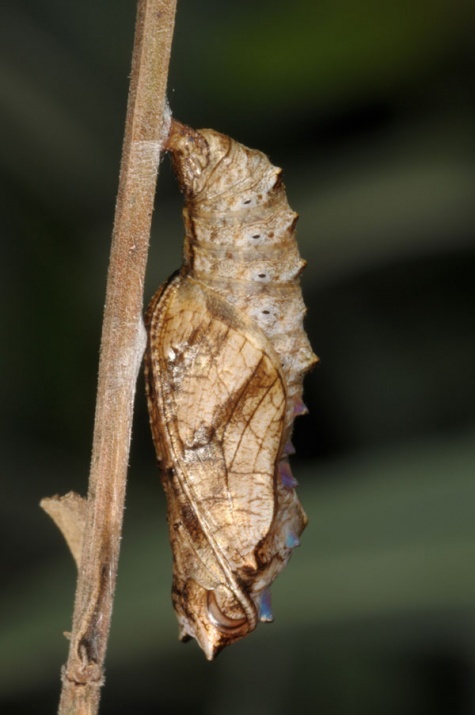 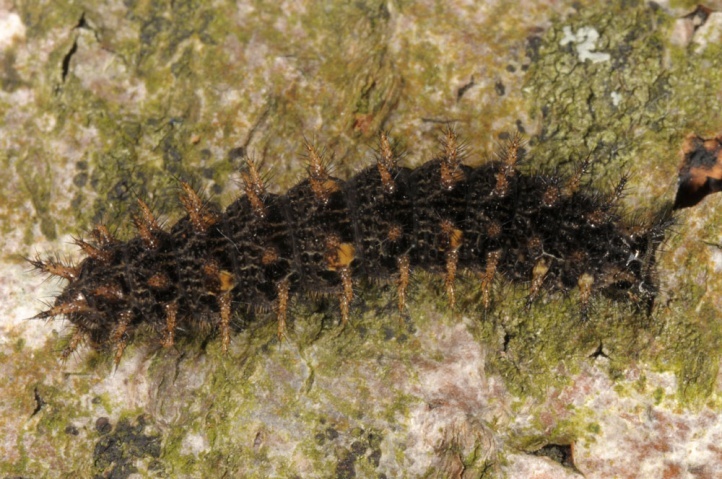 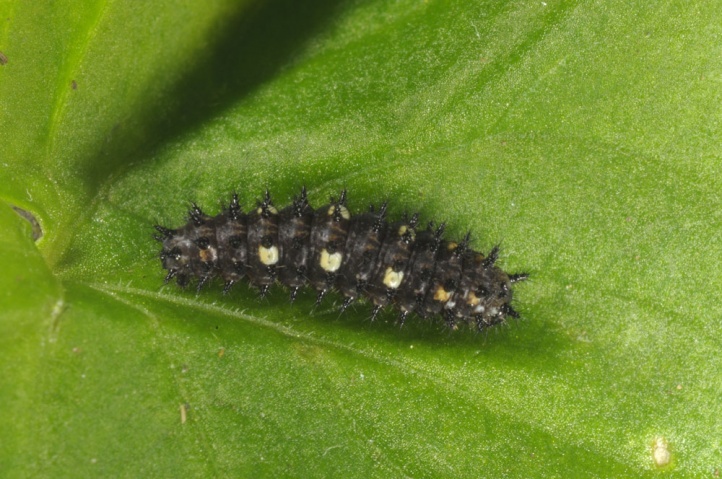 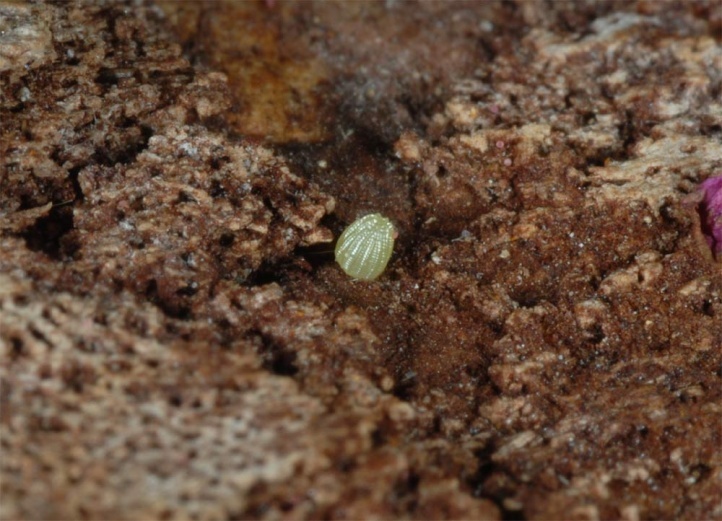 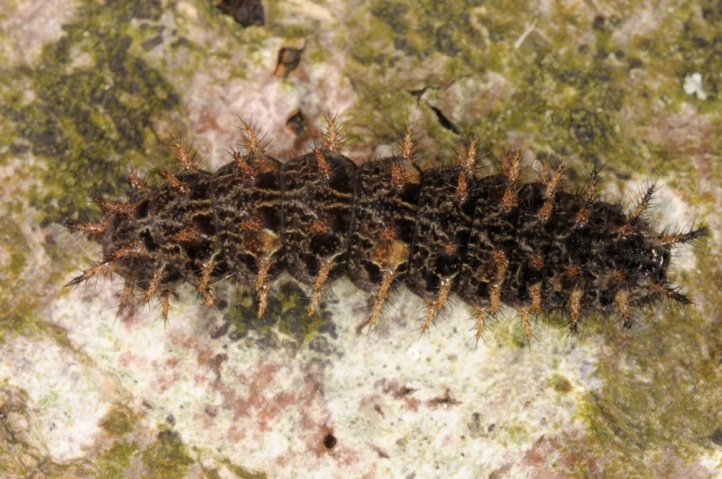 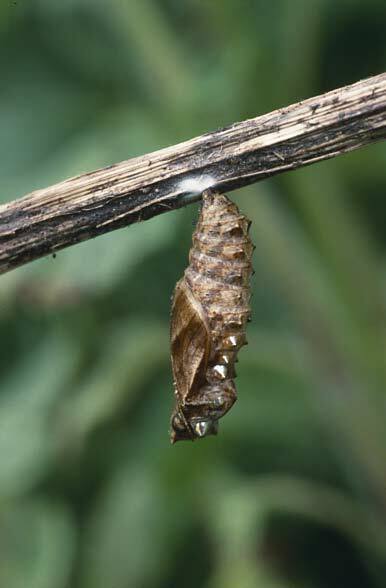 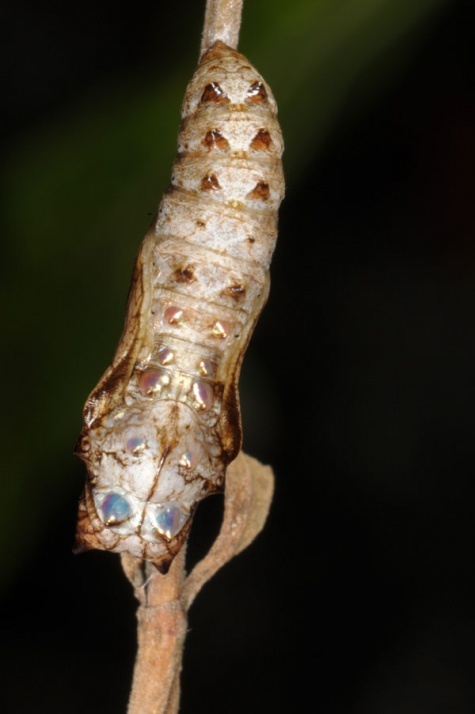 Praepupae were observed near the ground on dead, pushed down (snow) stems and branches. 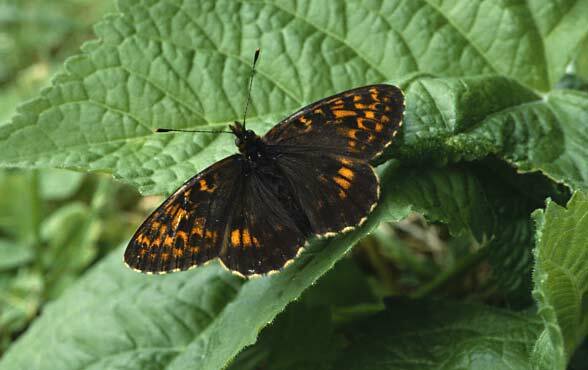 Adults occur between June and mid, rarely late July. 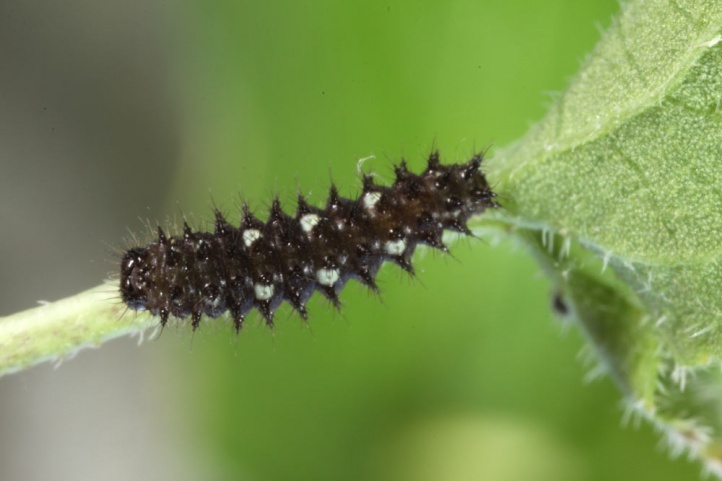 The adults feed very often nectar from the flowers of Geranium sylvaticum. 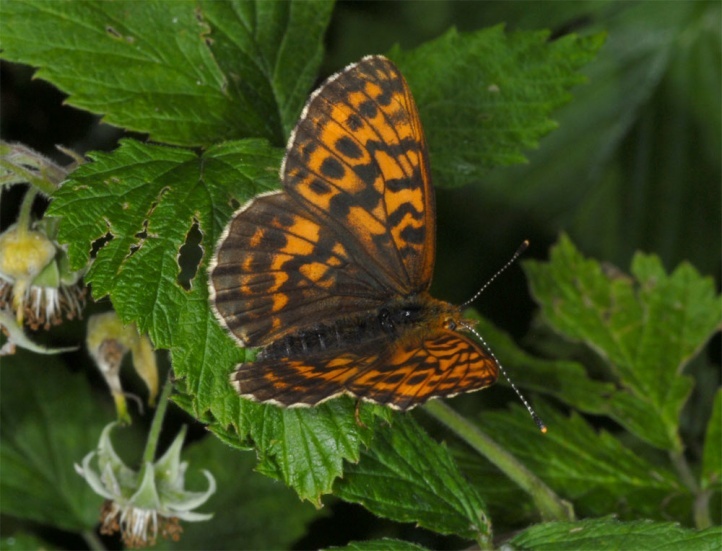 In addition, I met butterflies on Geranium robertianum, Rubus idaeus flowers, Senecio alpina, Cirsium palustre and Knautia. 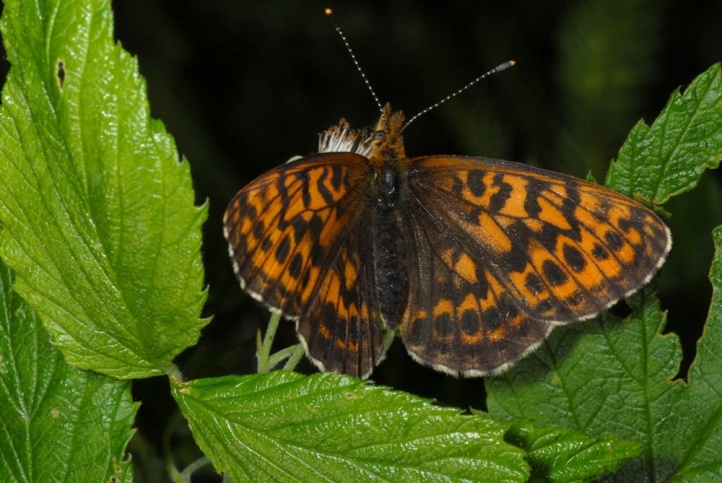 The butterfly is endangered especially inn lower elevations through intensification, dense afforestation and river control structures. 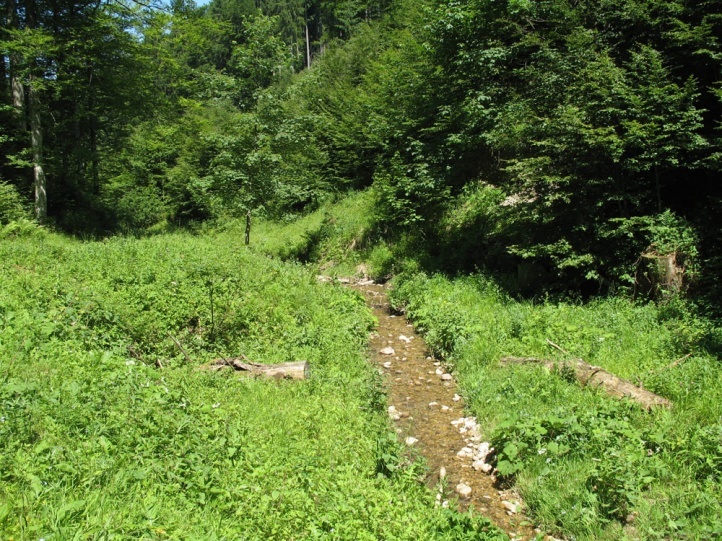 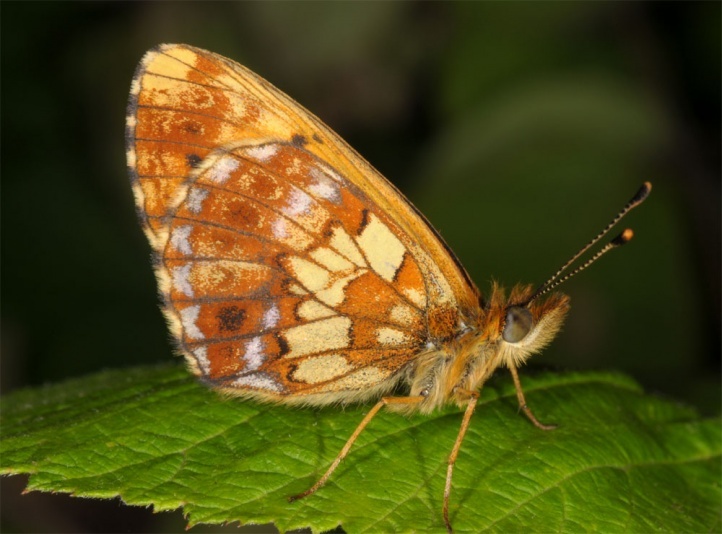 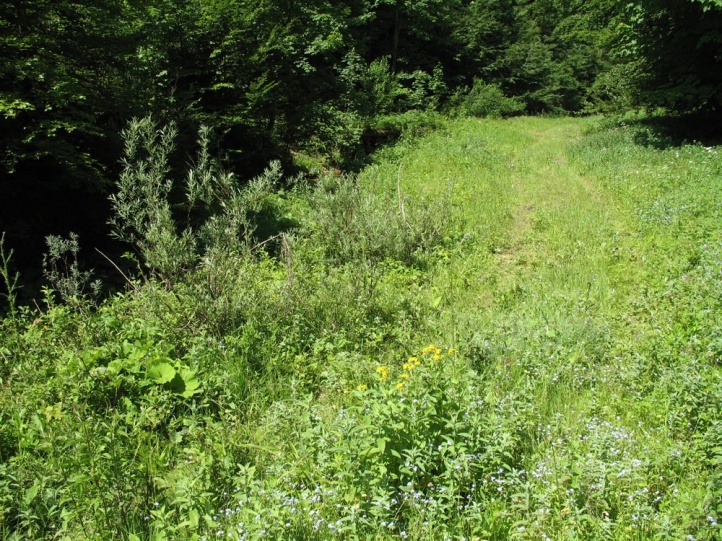 In Adelegg, a prealpine massif on the border between Bavaria and Baden-Württemberg in Southern Germany,Boloria thore is already extinct in many former patches due to dense planting of trees and more and more dark forest structures especially in the ravines. 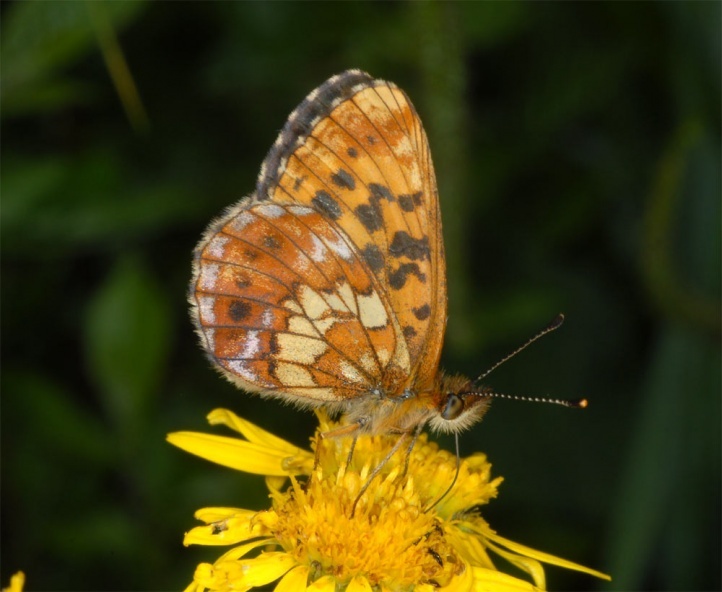 Boloria thore is distributed disjunctly across Europe (only Alps, Central and Northern Scandinavia, northern Russia) and Asia to Japan.